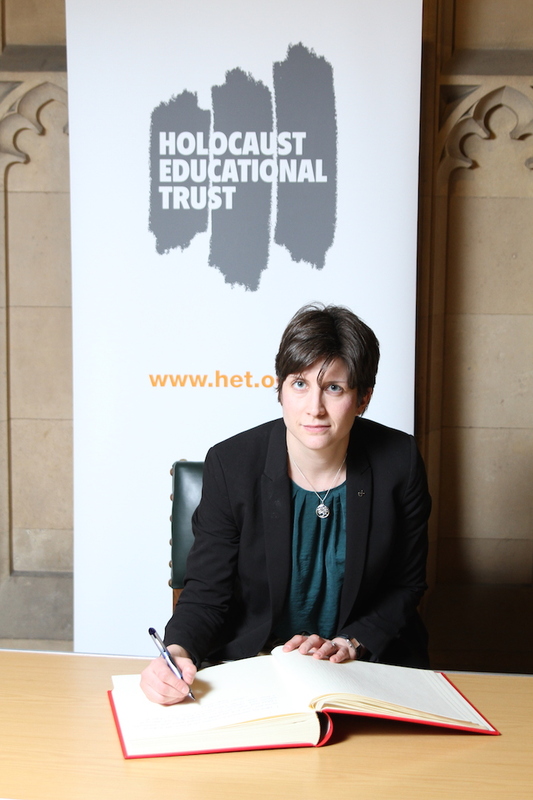 This week Alison Thewliss MP signed the Holocaust Educational Trust’s Book of Commitment, in doing so pledging her commitment to Holocaust Memorial Day and honouring those who were murdered during the Holocaust as well as paying tribute to the extraordinary Holocaust survivors who work tirelessly to educate young people. “We are proud that Alison Thewliss MP is supporting Holocaust Memorial Day. As we mark the 71st anniversary of the end of the Holocaust and the liberation of the concentration camps, it is vitally important that we both continue to remember and learn from the appalling events of the Holocaust – as well as ensuring that we continue to challenge antisemitism and all forms of bigotry.